Nottelmann Music Company was founded in 1953 by William and Audrey Nottelmann. Mr. Nottelmann had a long history of being involved in music. He played several instruments, but most notably the piano and the banjo. 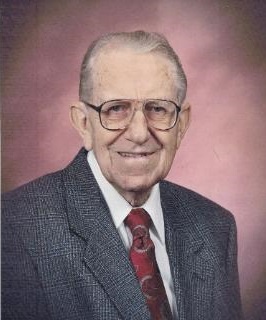 He taught private lessons and was also the first band director at Mehlville High School. He wrote a piano lesson book titled Keyboard Adventures that was widely used in the area for decades. When his only child, Jan, was born, Mr. Nottelmann decided that he needed a job that would allow him to better provide for his family, so he opened Nottelmann Music Co.
Over the years, the business slowly grew to service more school band programs and Mr. Nottelmann hired on additional employees to help with the workload. Meanwhile, Jan met Dennis at Bayless High School in 1969. After graduating high school, they both started college and got engaged. After getting engaged, Mr. Nottelmann asked Dennis if he was interested in going into the music business. Dennis agreed and began working at the store. He was taught the business side of the store by Mr. Nottelmann and the repair side by Glenn Gebhardt, the only repairman at the time. Jan learned the office and accounting side of the business from her father and worked part time. With Dennis's involvement with the store, the business focused on providing the exceptional service that we are still known for today. Dennis travelled to schools, developing relationships with the directors and their programs. In 1979, we opened our second location in Arnold. This location gave us the ability to better serve the growing number of customers and programs that we were doing business with in Jefferson County. In 1984, Dennis and Jan purchased the company from Mr. Nottelmann. This fact was a well kept secret as Mr. Nottelmann continued to serve as the face of the business for years to come and still handled a large portion of the business decisions for the company. The business continued expanding the territory and the number of schools that we serviced and our workforce continued to grow. In 2001, Mr. Nottelmann's health would not allow him to come into the store any longer. At that point, Dennis and Jan took over complete control of the business. In 2005, Dennis and Jan were joined in the business by their children, Michael and Jennifer. Michael travels on the road three days a week, making service calls to various schools. When not on the road, he helps man the counters at our stores. Jennifer works in the office and handles rental accounts and school billing. In 2013, Mr. Nottelmann was honored for his countless contributions to the Mehlville School District over the years by having their new auditorium named after him. He was delighted to be able to attend a performance in the new auditorium. Mr. Nottelmann passed away in March of 2015. Today, Nottelmann Music Company has over 20 employees and travels to well over 100 schools on a weekly basis in the St. Louis metro area in both Missouri and Illinois. Mr. Nottelmann stressed the importance of exceptional service, and this is a value that we strongly adhere to this day. Now in our second and third generations, it's exciting to imagine the company moving on to the future generations. We've been blessed with the countless enduring relationships that we've been able to form with our valued customers and look forward to what the future holds.